Purpose of Form : For a child who regularly resides abroad to claim U.S. citizenship based on parentage. Number of Pages : Instructions: 7; Form: 7. Edition Date : 07/30/07. Previous editions accepted. We recommend that you download this form to your computer (for Windows/PC users, by "right-clicking" on the link below and selecting "Save Target At." After naming the file and saving it to your hard drive, launch the file in Adobe Reader. Please consult the "Paying Fees" section of your local office site to learn which forms of payment will be accepted. Acceptable forms of payment may vary by office. Checks should be made payable to Department of Homeland Security or U.S. 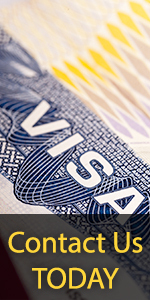 Citizenship and Immigration Services .